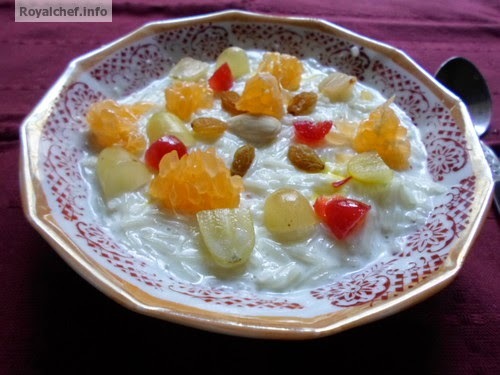 This is a Recipe for making at home sweet, tasty and delicious Fruit Sevai. 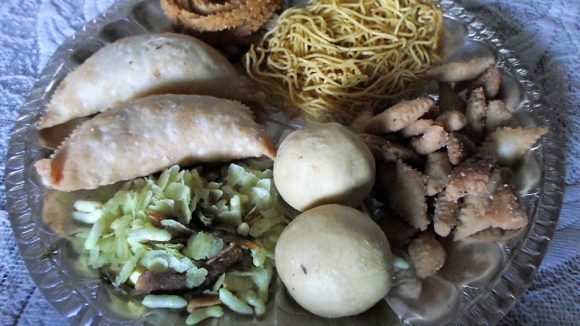 This is one of the typical simple and easy to make Maharashtrian Dessert recipes, which can also be taken as a snack. Boil the Milk for 10-15 minutes on a slow flame and then add the Sevai. (if you are using Milk and Khoya then boil only for 3-4 minutes). Then add Sugar and again boil for 3-4 minutes and then keep it aside for cooling. Serve cold. While serving garnish with Dry fruits and cut and skinned Fruits.